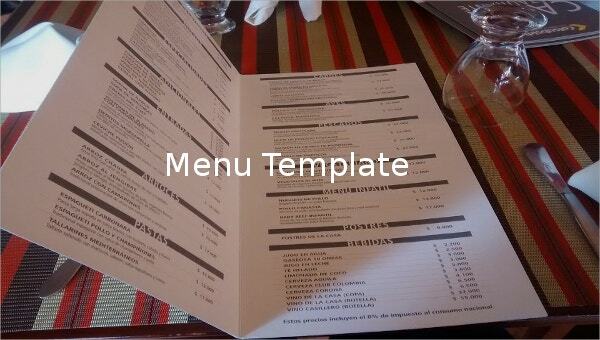 Menu Template – 915+ Free Word, What is the first thing you do when you go to a restaurant? 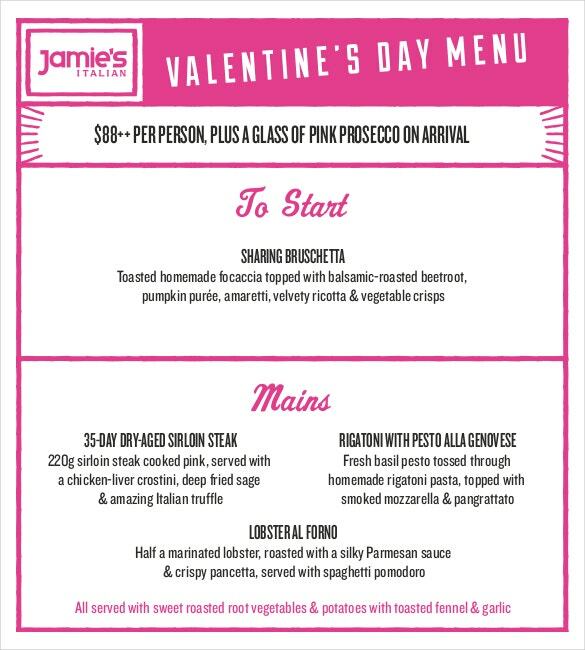 You ask for the menu card, of course! 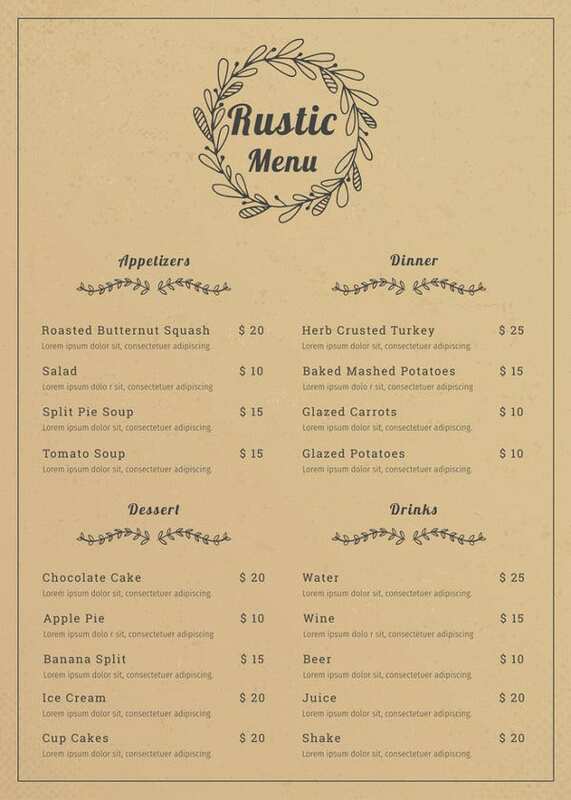 Based on the menu card, you make your choice and place the order. Thus, it would not be an exaggeration to state that the identity of a restaurant or a diner rests in this menu. It is undoubtedly one of the most integral aspects of the dining experience, and forms an impression in the minds of the diners. You may also see Word Menu Templates. 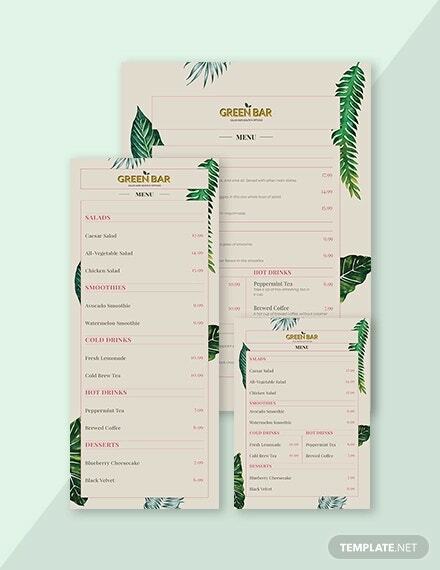 A shoddily designed menu would create a negative impression in the minds of the diners, and while a well designed menu would want to make them come back again and again. There is no point of having a well decorated restaurant if you fail to impress with the Birthday Menu Template. Most restaurants have a separate menu card for beverages. 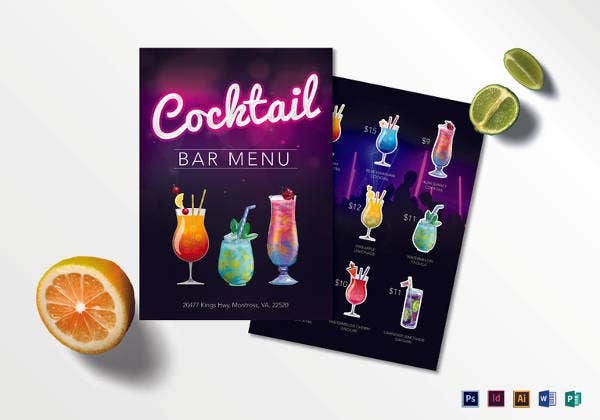 The drink menu template is usually divided into a few sections- cocktails and alcoholic beverages and non-alcoholic beverages like soft drinks. The price rates of each drink is mentioned next to the drinks. Often, a description is provided of the beverages as well. 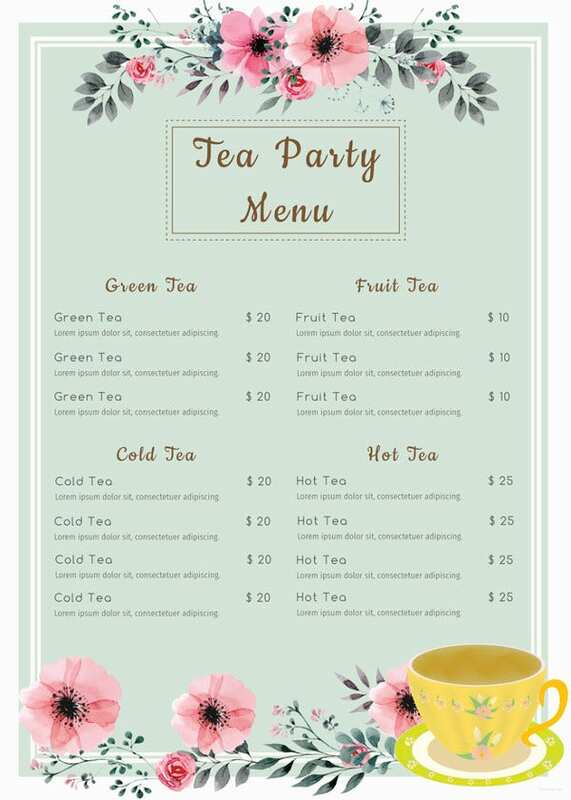 The guests can choose from any of the listed drinks. A posh restaurant boasts of an extraordinary collection of wine. Such a fine collection demands a separate menu card. 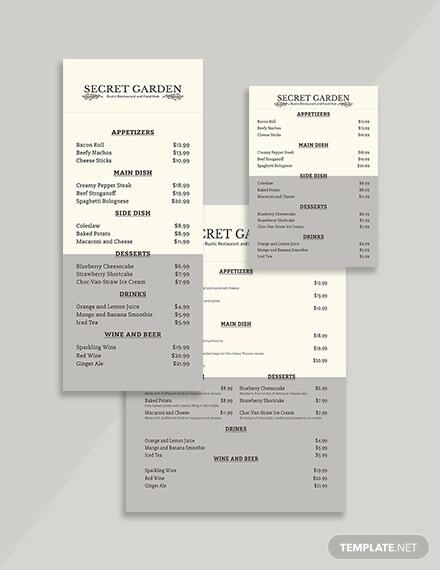 Also, a Wine Menu Template gives your diners a feeling that they have a plethora of options to choose from. In the wine menu template, a list of exotic wines are mentioned, along with the price per bottle. 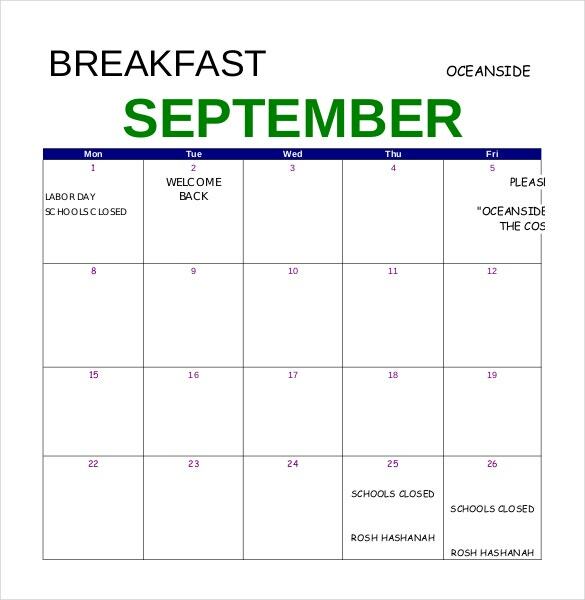 This is certainly the most important kind of menu template. 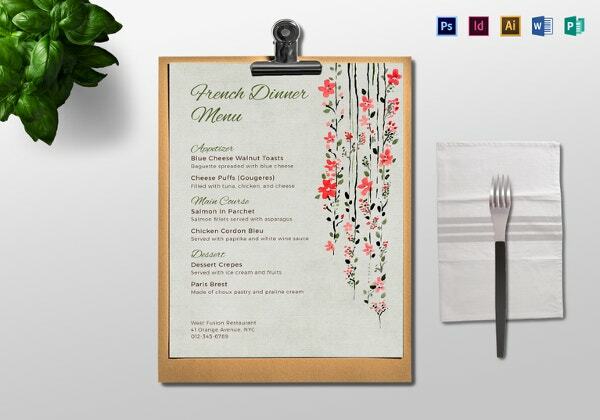 A Food Menu Template will consist of all the dishes that the restaurant offers. It will consist of the cuisines, the food items, their prices and so on. Most menus even have a description attached to it, to give the customers an idea of what the dish is all about. Who doesn’t appreciate an elaborate dessert spread? It is the one thing people look forward to throughout the meal. 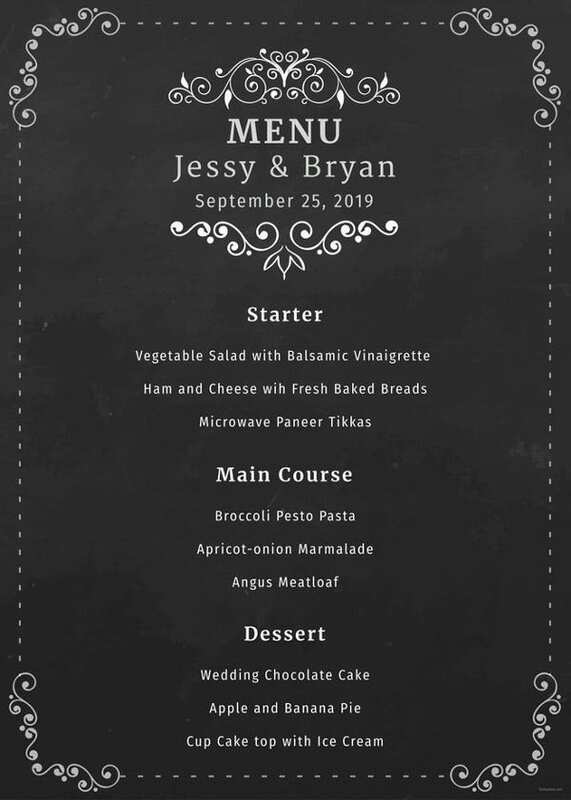 A dessert menu template would list all the scrumptious dessert items in store for the guests so that they can browse through it and make their choice. 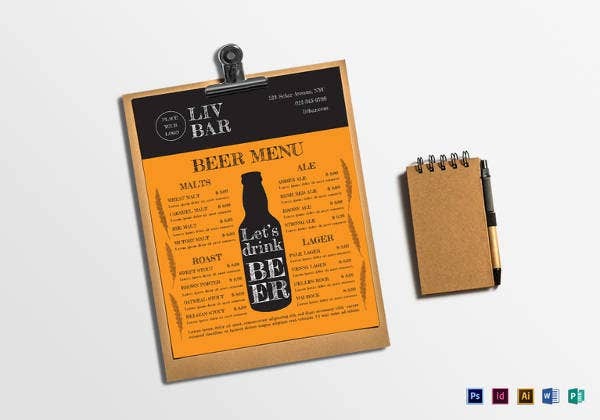 A bar menu template usually consists of the names of all the beverages available at a particular bar along with their prices and having Wine Menu Template. Most bars serve snacks and other food items along with the drinks. These items are also mentioned in the bar menu. 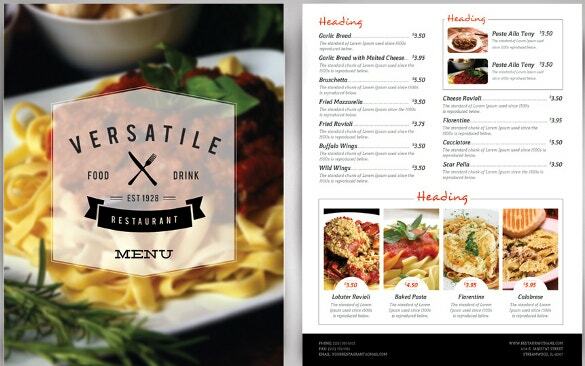 Why Should You Use Menu Templates? 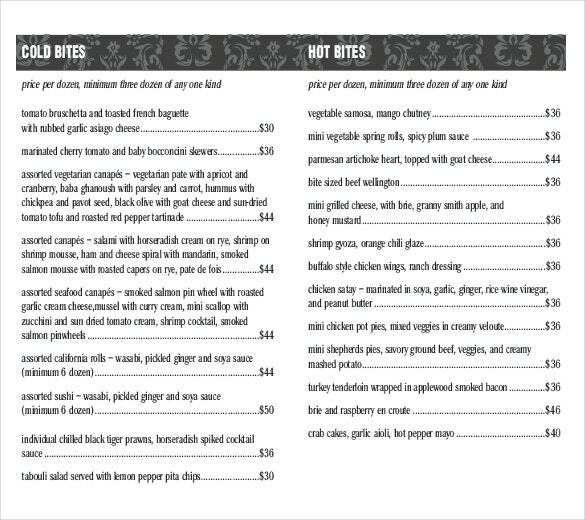 Irrespective of the kind of menu, all menu templates basically have a similar pattern. They all contain a list of items, the price rates and short descriptions. But it is the creating of the menu which is the real challenge. The format which appears to be really simple is actually quite tedious to come up with. In fact, you would end up dedicating all your precious time to a menu – time which could have been used for something more productive. In such cases, it is always better to use menu template examples. 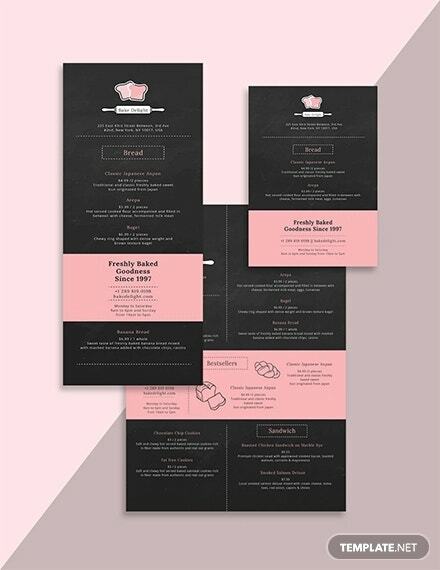 These templates already have a pattern crafted just for you; you can download menu templates based on the type of menu you’re looking for. You’ll be able to choose from a wide range of options as well. For example, a wine menu template will already have a list of wines mentioned in it. You can edit the template after downloading it to make necessary changes. 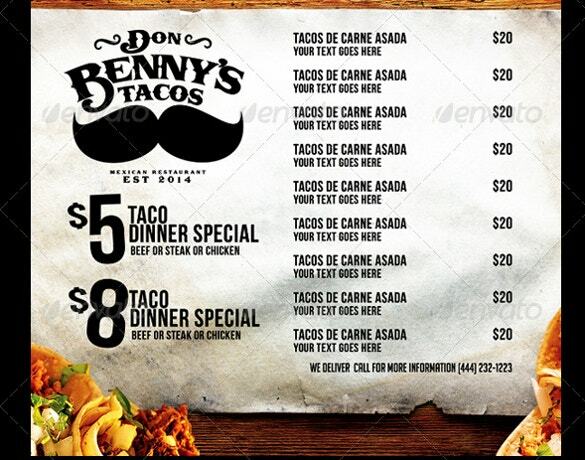 Such menu templates are efficient, useful and have an attractive design as well. 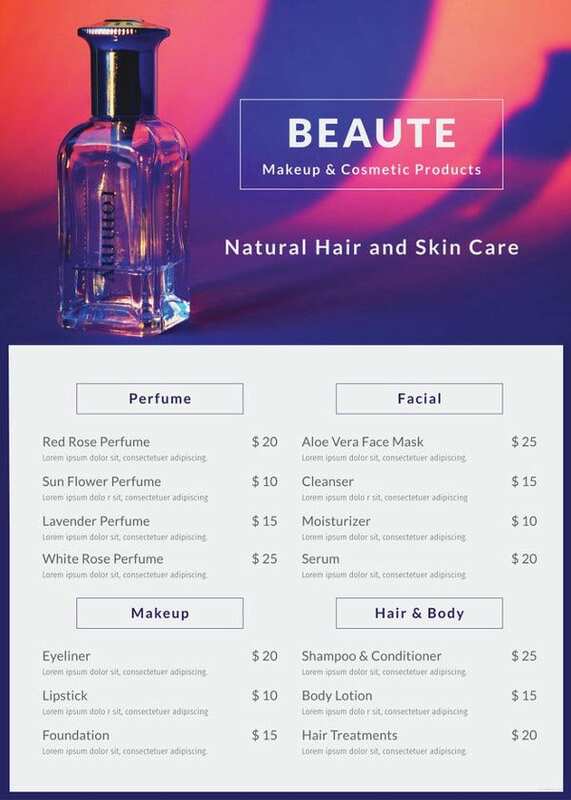 How To Create Stunning Menus Using Templates? 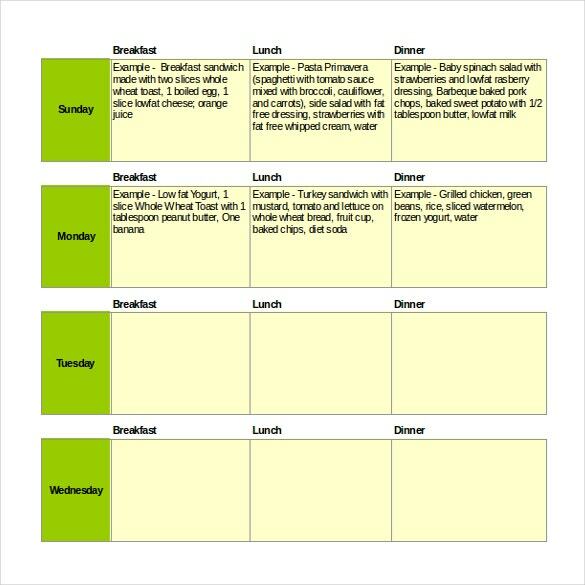 Once you’ve downloaded the menu templates, you need to know how to proceed with it. 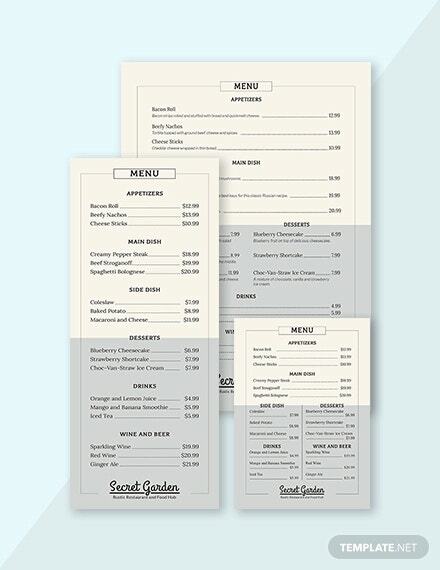 You can narrow down your search for menu templates based on the type. 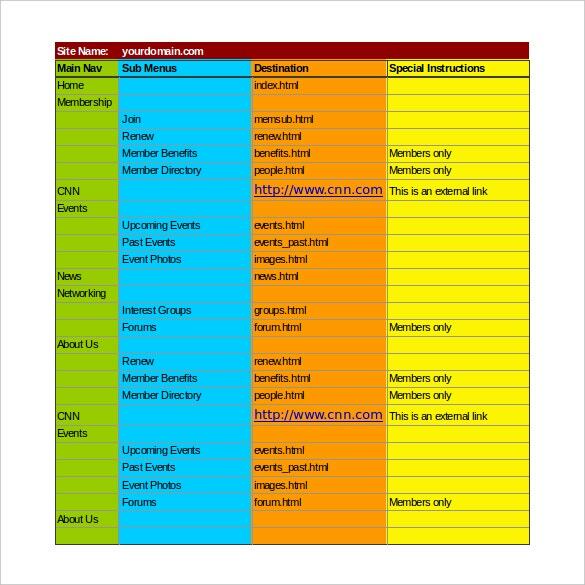 For wine menu templates just type the necessary keywords. 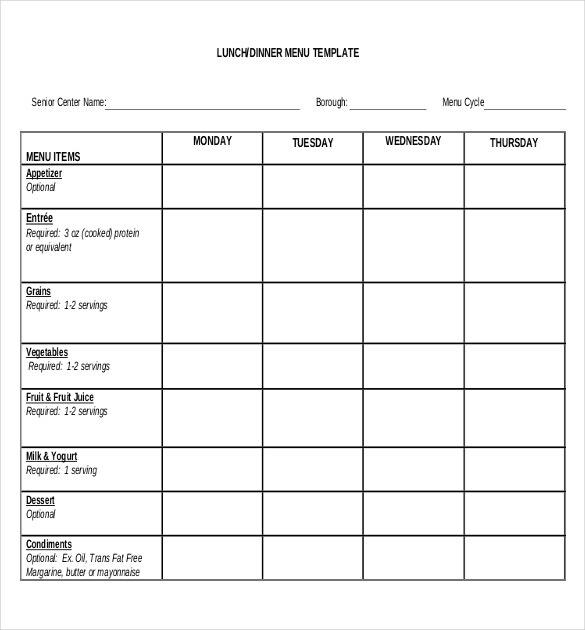 The same goes for bar menu templates, Pizza Menu Templates or even food menu templates. 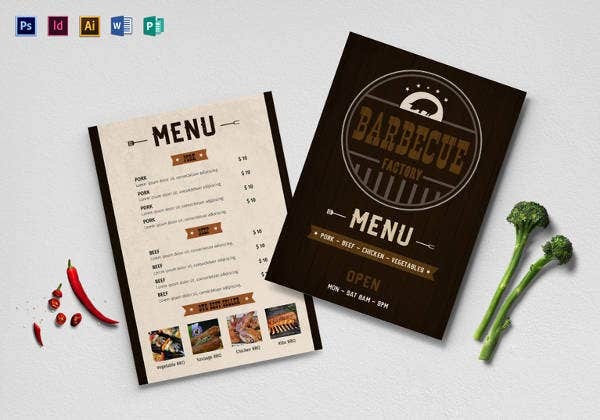 Once you come across the menu template that goes perfectly with your restaurant, click on the download button. Having done that, you have complete freedom to edit the menu template just the way you please. 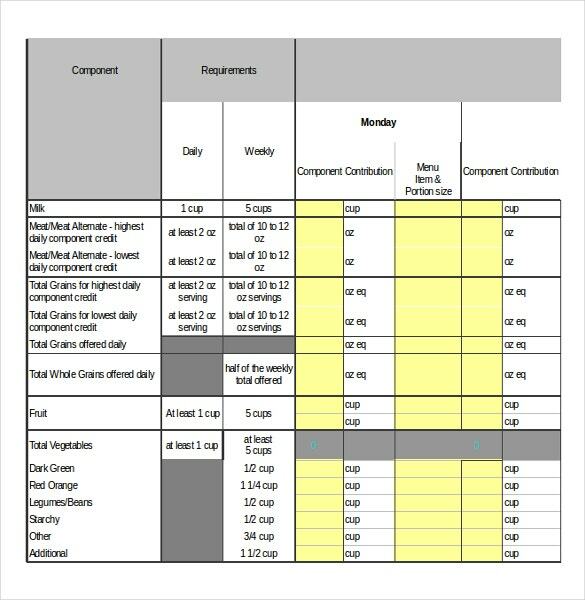 You can remove the lists in the template and add your own. 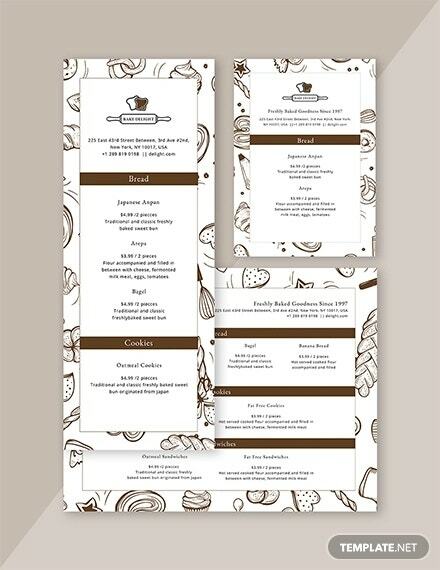 You can even add attractive images of your food items in the spaces provided on the sample menu templates. 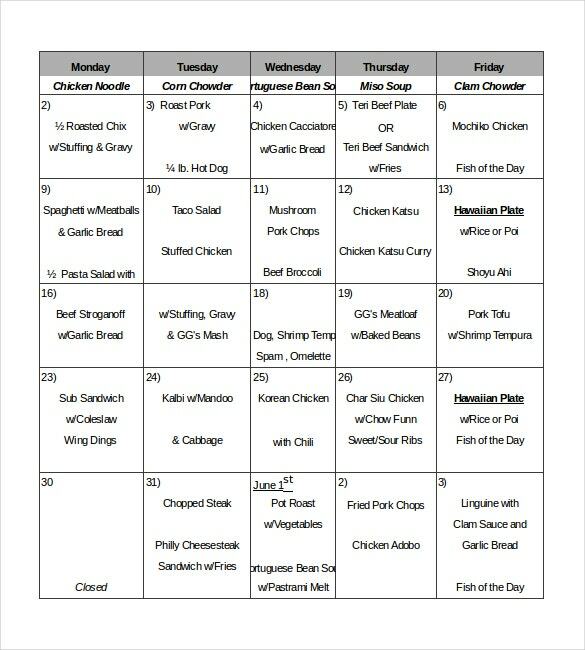 The kind of menu template you choose will obviously depend on the nature of your restaurant. 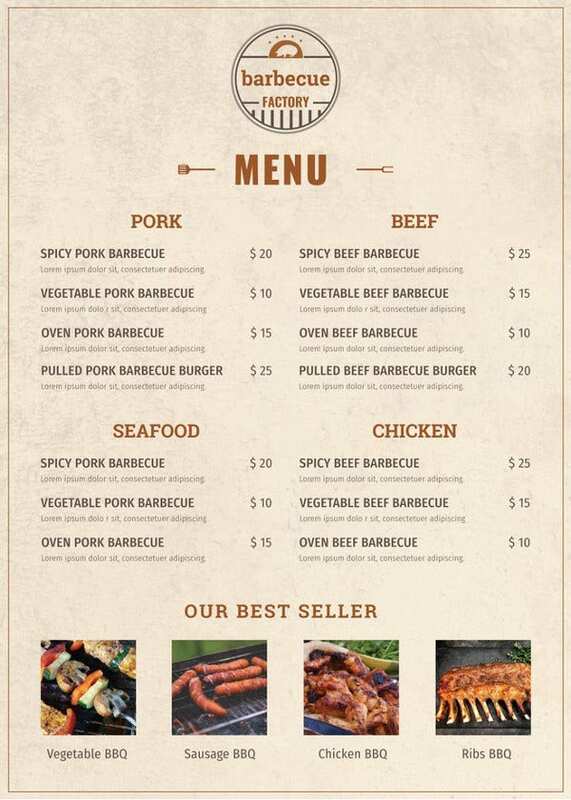 For example, if you run a barbecue restaurant, you’ll need a special menu for that. 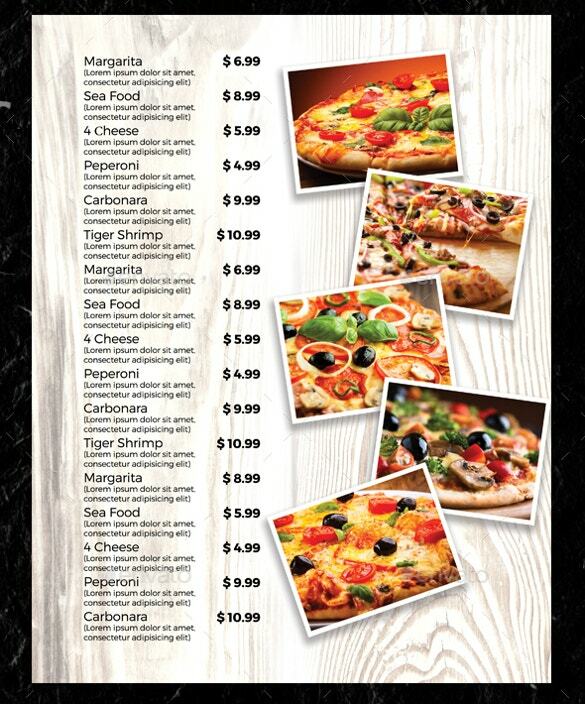 Pizzerias have specific menu cards which have been reserved for their pizzas. At wine tasting events and certain restaurants, separate drink and wine menus are used. 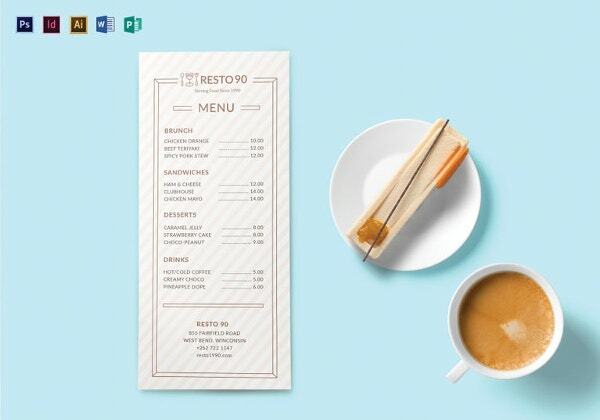 Add images of food items in the pages of the menu template. 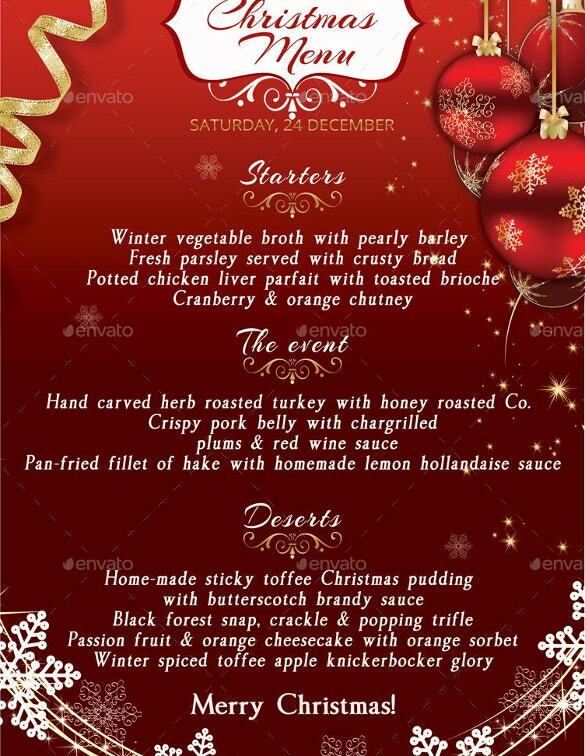 Continuous text can become monotonous for the diners who want to see something attractive and appealing. 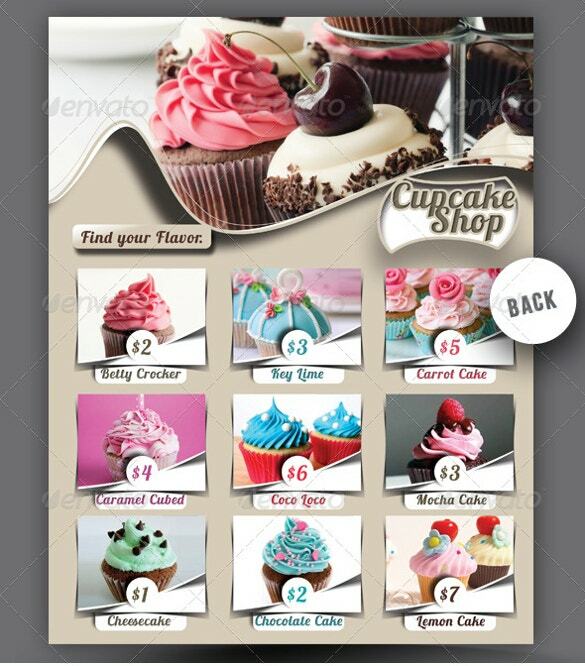 In all Bakery Menu Templates, there are spaces provided where you can insert images of your choice. You can incorporate a few images of the food items you serve. 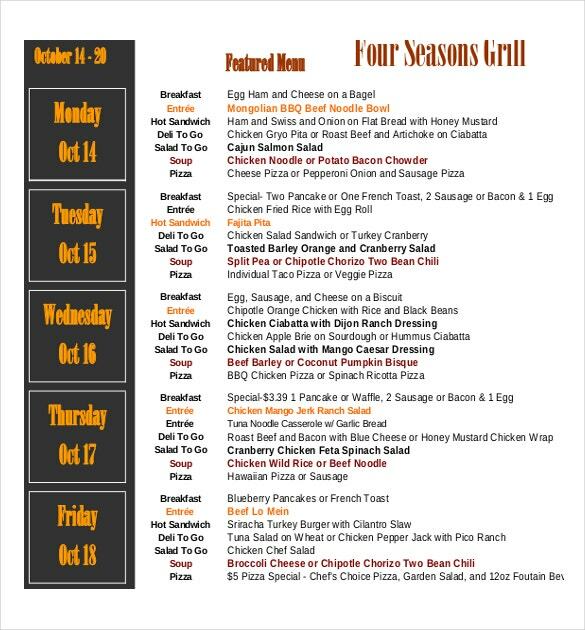 That is sure to make your diners salivate! 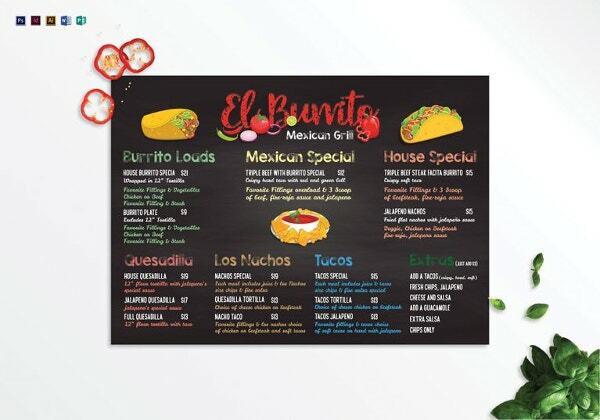 The cover of the menu must be well designed. That is the first customers notice, even before the actual menu. Hence, you need to pay close attention to how you design the cover. 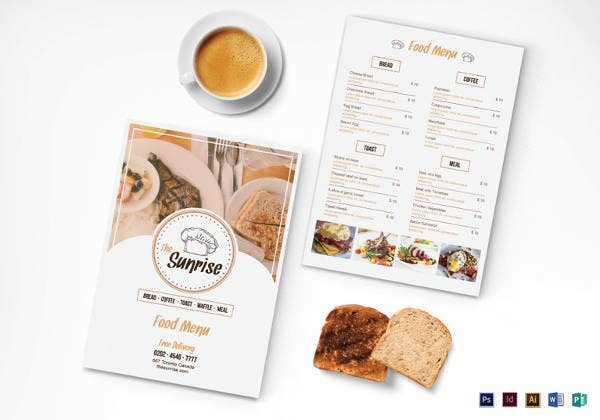 Add the name of the restaurant to the cover, along with the logo or the symbol of your restaurant Pricing Menu Template. Do not forget to mention any details that might be important. For example, it is always advisable to add short descriptions of the food items below the name. That way the diners can have an idea of the ingredients used. Also, you need to mention if they are spicy, or other such details which are important. 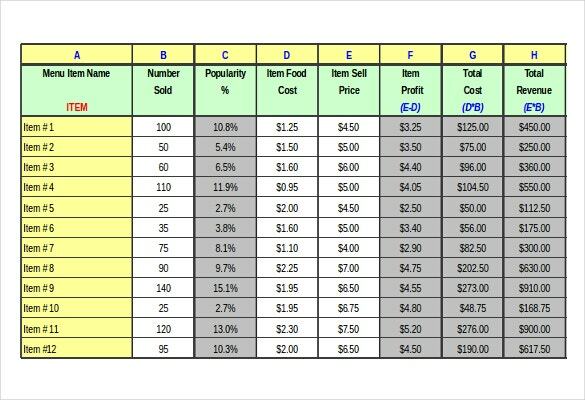 Mention the prices next to the names. Try to keep the design as elegant and classy as possible. The font used should be readable. 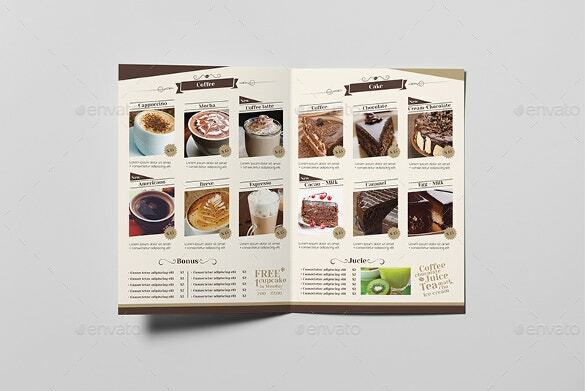 At template.net, we have an amazing collection of downloadable menu templates just for you. 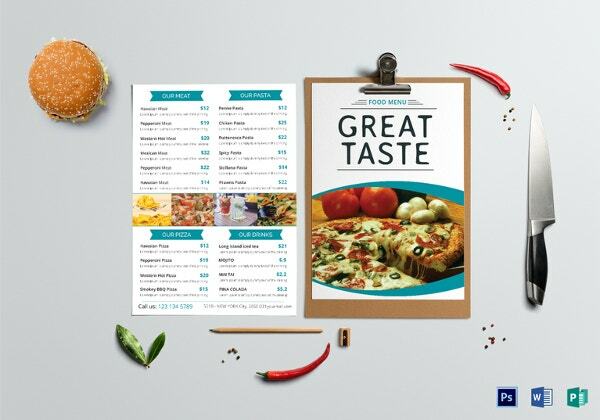 We have come up with spectacular templates for all kinds of restaurants. 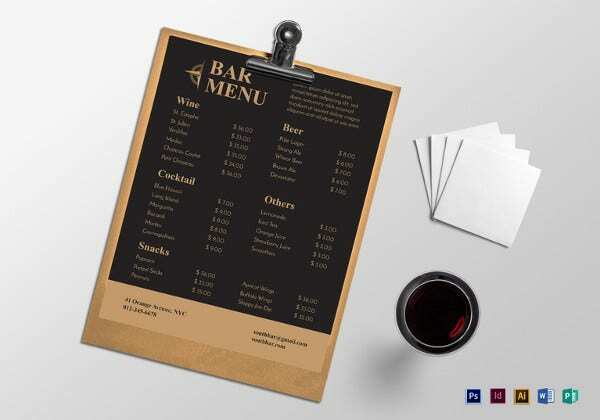 You can look at our collection of wine menu templates, bar menu templates, drinks menu templates and even barbecue menu templates. You’re sure to find the perfect Word Template for yourself out of all these. There is nothing as blissful as finding the template you’re looking for, and we can help with that. The menu of a restaurant usually consists the name of the restaurant on the cover, along with the logo or the symbol. 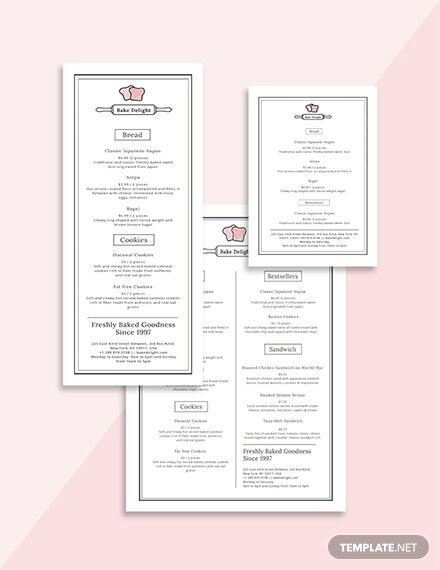 In the inside pages, you have separate sections for different courses – appetizers, entrée and the desserts. 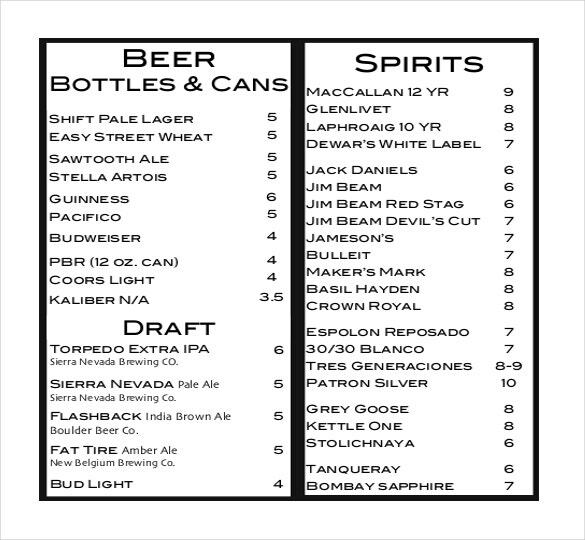 You also get a separate menu for liquor and beverages. Are you planning to start a restaurant of your own? 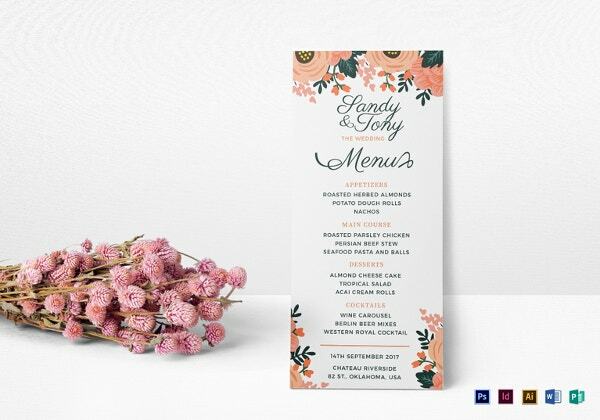 Then good luck on your venture; to make your job a little bit easier, you can take the help of menu templates while Creating your stunning menu card. If you have any DMCA issues on this post, please contact us!